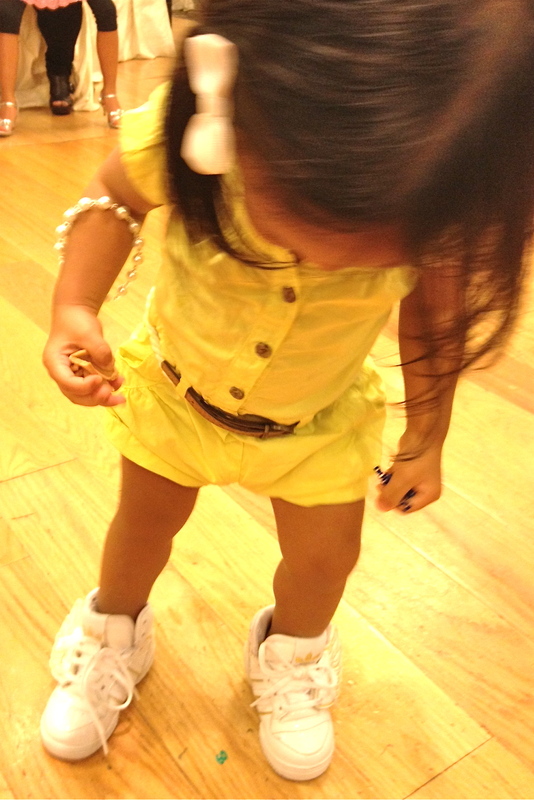 spotted my cute niece looking super fly in her jeremy scott x adidas wings sneakers this weekend. so i just had to share her pic. i knew these js wings were super limited, so i had to do a google search to find out just how much her parents were willing to spend on some shoes she could probably only sport for a few months. 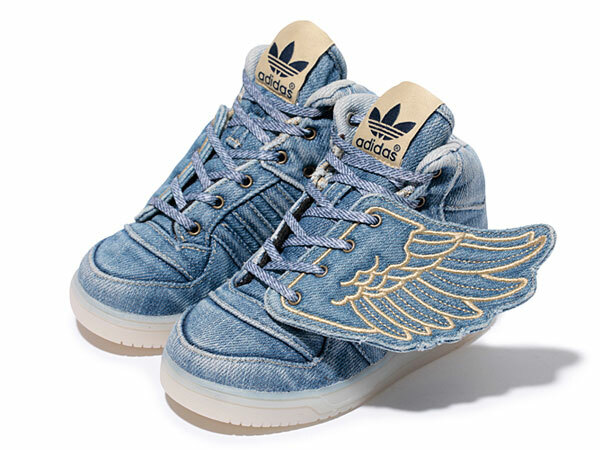 in doing so, i stumbled upon some even more fly jeremy scott x adidas denim wings from spring/summer 2012.
i would honestly never be able to pull this style off as a grown adult, but was seriously contemplating on trying to get a pair for my unborn child until i saw the $250-$400 price tags on ebay (sold out everywhere else). guess my kid will have to keep their feet on the ground for now. super rare and wish i had the money to burn.